A spiritual hands-on practice that compliments any faith. 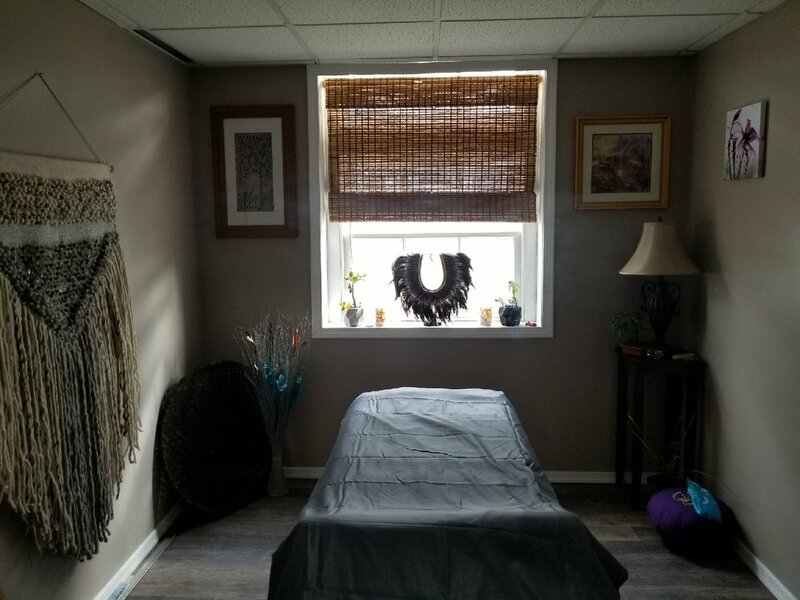 A reiki session involves non-invasive, light touch which encourages relaxation, stress reduction, and full body awareness, allowing for gentle invigoration and effective pain management. Shanteel Yoga Sanctuary is home to many Reiki Masters. Please contact us today to discuss your first session! Reiki is a complementary healing therapy with its roots originating in Japan. The word Reiki comes from the Japanese word (Rei) which means “Universal Life” and (Ki) which means “Energy.” So Reiki is the life energy or universal life force that flows through all living things. It is believed that when a person’s energy is strong and free flowing, the person’s body and mind are in a positive state of health. When the energy becomes weak or blocked, it could lead to symptoms of physical or emotional imbalance, often called dis-ease within the body. A Reiki session can help you to ease tension and stress, and support your body in the healing process on all levels—physical, mental and emotional. A session is typically performed on a massage table with the individual wearing loose-fitting, comfortable clothing. The Reiki Practitioner uses light touch to guide the energy throughout your body and you may feel a tingling, cooling, or warming sensation in response. After a session, you will likely feel rejuvenated, peaceful, and grounded. Shanteel Yoga Sanctuary is blessed to have many Reiki Masters and Practitioners among our instructors. We offer private sessions and Reiki shares and teachings throughout the year. For more information or to schedule your first session, email ShanteelYoga@gmail.com or call (267) 451-6585.